Associative Awareness Technique™ is a treatment approach specifically designed around the neuroscience of trauma and resultant chronic conditions. AAT™ is different in that it is specifically designed to treat the cause of your chronic condition(s). AAT™ creates balance within your nervous system, which controls all aspects of your body. This process teaches your brain to be less physically reactive to stress, pain, anxiety, negative thoughts and/or memories, all of which significantly reduces or eliminates your chronic symptoms. AAT™ is a 6 step treatment process designed around the science of trauma and resultant chronic conditions. AAT™ addresses the 3 parts of your brain that are responsible for maintaining your chronic condition and will restore homeostasis to the Central Nervous System. You can learn and perform all 6 steps using our simple to follow home program or you can be treated by your AAT™ trained medical professional. Homeopathy, or Homeopathic Medicine, is the practice of medicine that embraces a holistic, natural approach to the treatment of the sick. It was developed over 200 years ago by a German physician, Samuel Hahnemann MD. Like many physicians even today, Dr. Hahnemann anguished over the limitations and dangers of the medicine practiced in his time. He was determined to find more effective – and safer – ways to cure illness. Dr. Hahnemann noticed that certain substances were toxic in high doses, causing discrete symptoms in healthy people. But when ill people took a very dilute form of the substance corresponding to their symptoms, they got well. This illustrates the Law of Similars, a Hippocratic principle that is also fundamental in homeopathy. Classical homeopathy embodies a philosophy of deeply understanding people and their illnesses. This allows practitioners to perceive and address the core spiritual dynamic disturbance manifesting in the patient’s mental, emotional, and physical symptom pattern. It is holistic because it addresses the person as a whole, rather than focusing on a diseased part or disease. Homeopaths also study the particular healing qualities of their medicines (“remedies”), which come mostly from natural substances. Unlike botanical and nutritional supplements, homeopathic remedies are regulated by the FDA as medicines. They are produced in homeopathic pharmacies using the U.S. FDA-recognized Homeopathic Pharmacopoeia of the United States. People often confuse homeopathy with general alternative medicine, naturopathic medicine, botanical medicine, and even Bach flower essences. Though homeopathy does employ some plant-based medicines, and some naturopathic physicians are also excellent homeopaths, homeopathy stands on its own as a system of care. Classical homeopaths prescribe one specially prepared (“potentized”) remedy at a time, based on the patient’s particular symptom pattern. Both this unique method of preparing medicines and the precise, individualized way of prescribing them are essential to classical homeopathy. The Law of Minimum Dose– using the minimum amount of medicine required to generate a healing response — is another important homeopathic principle. Used successfully by millions of people all over the world, classical homeopathy continues to evolve through research, practice and the discovery of new medicines. Pamela A. Pappas, MD, MD(H) is an experienced classical homeopath practicing at Optimal You. Albert Einstein is famous for the quote “we cannot solve our problems with the same thinking we used when we created them.” Consciousness Coaching (CC) expands our capacity to reframe how we relate to and interpret the world around us. It’s an inside out process that transforms our habituated unconscious interpretations of reality. CC combines three powerful practices – Mindfulness, Radical Self-Compassion and HeartMath™. Advances in neuroscience have revealed that while our brains have a natural bias for empathy and connection with others, this same bias does not apply to how we relate to ourselves. We can be caring and compassionate with others, but then turn inward and invariably run into the Inner Critic. CC seeks to re-pattern the brain’s inherited and unconscious tendency towards survival and negativity – refocusing instead on emotional resiliency, true inner care and compassion. Radical Self-Acceptance brings us into the journey of unconditional love – an experiential understanding that we are not our patterns, thoughts or behaviors. Instead of turning away from feelings of unworthiness, we turn towards the feelings, imagining that a younger part of ourselves is in need of care and love. The more that Mindfulness and Radical Self-Compassion become anchored into our experience of reality, the more our hearts expand. We are more and more willing to turn towards any emotional or mental upset, with patience, curiosity and unconditional love. We also expand and grow our mental and emotional capacity to tolerate discomfort and embrace change. CC is a supported journey of self discovery. It offers the opportunity to experience freedom from negative thinking and feelings of unworthiness, and illuminates true sources of conflict, fear and anxiety. This coaching experience uncovers childhood trauma and wounds that are unconsciously filtering interpretations of reality and then lovingly offers best practices that lead to emotional integration and a found sense of wholeness and internal spaciousness. Most important, CC grows equanimity – a capacity to maintain peace of mind no matter what’s happening in the external world. Inner peace is always an inside job. CC is a coaching platform inspired by the wave of transformative energy accelerating through our planet. While this energy can create challenging and even chaotic upheaval, the opportunities for growth and transformation are breath taking. Every individual has the inner vision and wisdom to transform past hurts and unhealed wounds, integrate emotional discord and reconnect with heartfelt yearnings. What is the unrealized potential that is seeking to actualize itself through you? Stacey Prillaman, MA, HMCC provides Consciousness Coaching at Optimal You. Few body structures have more influence over your health and well-being than your central nervous system. And few body systems have more impact on your central nervous system than the craniosacral system -the soft tissues and fluid that protect your brain and spinal cord. Unfortunately, this can compromise the function of the central nervous system and the performance of nearly every other system in your body. Leslie Putt, MPT, CZB provides CranioSacral Therapy at Optimal You. The Daring Way™ and Rising Strong™ processes are both highly experiential methodologies based on the research of Dr. Brené Brown. These processes are designed for work with individuals, couples, families, work teams, and organizational leaders. They can be facilitated in clinical, educational, and professional settings. These programs are designed to provide time and space to dig deep into the things that get in the way of living the authentic lives we truly desire. Using metaphor, story-telling, experiential and creative exercises, we examine the thoughts, emotions, and behaviors that are holding us back — and work to identify the new choices and practices that will move us toward more authentic and wholehearted living. Expand awareness of what is getting in the way of living wholeheartedly, of daring greatly. Pamela A. Pappas, MD, MD(H) is a Certified Daring Way™ and Rising Strong™ facilitator. Flower essences are infusions of flowers in water, potentized through sunlight, and stabilized in solutions of brandy and water. Suffused with the flower’s vibrational imprint, they each resonate with — and can strengthen — different universal qualities in us. Flower essences can be used to safely support healing and health. Flower essences contain no scent (except the brandy added for stabilization), and are distinct from essential oils. They are also extremely dilute, thus differing from herbal tinctures which are created from concentrated extracts of different plant parts. A few drops at a time can be taken directly, placed in water, or even placed in a mist bottle and sprayed on the skin or around a room. Desert Flower Essences are co-created between Cynthia Athina Kemp Scherer in Tucson, AZ and flowers growing wild in the Sonoran Desert. Ms. Scherer has researched and worked with these essences since 1983, and has also trained others (including Dr. Pappas) in their use. Desert Flower Essence Therapy is the practice of using desert flower essences in a consistent, purposeful way to enhance emotional harmony and spiritual well-being. Through their vibrational qualities, Desert Flower Essences can help us become aware of and release deeply conditioned and limiting ways of perceiving ourselves and others; destructive behavior patterns can resolve. Flower essences work on an energetic, rather than on a direct physical or chemical, level. There are many forms of energy that are imperceptible to our senses, but which still impact us: x-rays, UV light from the sun, and microwaves are a few examples. Flower essences cannot substitute for mechanical and surgical procedures such as setting broken bones or repairing anatomical problems — but they can ease post-surgical healing processes on a subtle level. Flower essences can be used with other forms of treatment, including homeopathy, to assist in opening awareness. Becoming aware of previously ignored or unknown aspects of ourselves can be uncomfortable at times, but use of Desert Flower Essences can also help if this arises. Pamela A. Pappas, MD, MD(H) uses Desert Flower Essences in her practice at Optimal You, and has been trained by Cynthia Athina Kemp Scherer (their co-creator) to do this. Three major theoretical frameworks—a behavioral science biosocial model of the development of chronic mental health issues, the mindfulness practice of Zen Buddhism, and the philosophy of dialectics—combine to form the basis for DBT. The biosocial theory attempts to explain how issues related to borderline personality develop. The theory posits that some people are born with a predisposition toward emotional vulnerability. Environments that lack solid structure and stability can intensify a person’s negative emotional responses and influence patterns of interaction that become destructive. These patterns can harm relationships and functioning across all settings and often result in suicidal behavior and/or a diagnosis of borderline personality. DBT draws mindfulness techniques from Zen Buddhism in order to use here-and-now presence of mind to help people in therapy objectively and calmly assess situations. Mindfulness training allows people to take stock of their current experience, evaluate the facts, and focus on one thing at a time. Dialectics are used to support both the therapist and person in treatment in pulling from both extremes of any issue. Therapists use dialectics to help people accept the parts of themselves they do not like and to provide motivation and encouragement to address the change of those parts. Synthesizing polar opposites can reduce tension and help keep therapy moving forward. Dialectical behavior therapy (DBT) is a therapy designed to help people change patterns of behavior that are not helpful, such as self-harm, suicidal thinking, and substance abuse. Dialectical behavior therapy (DBT) is a type of cognitive behavioral therapy. Its main goal is to teach the patient skills to cope with stress, regulate emotions and improve relationships with others. What is EFT – Tapping? With Tapping, you can do that. You can discover the vital secret for emotional wholeness and physical relief. You can take your physical and emotional well-being into your own hands. It’s simple for anyone to master, and it’s free. Tapping provides relief from chronic pain, emotional problems, disorders, addictions, phobias, post traumatic stress disorder, and physical diseases. While Tapping is newly set to revolutionize the field of health and wellness, the healing concepts that it’s based upon have been in practice in Eastern medicine for over 5,000 years. Like acupuncture and acupressure, Tapping is a set of techniques which utilize the body’s energy meridian points. You can stimulate these meridian points by tapping on them with your fingertips – literally tapping into your body’s own energy and healing power. Your body is more powerful than you can imagine… filled with life, energy, and a compelling ability for self-healing. With Tapping, you can take control of that power. All negative emotions are felt through a disruption of the body’s energy. And physical pain and disease are intricately connected to negative emotions. Health problems create feedback – physical symptoms cause emotional distress, and unresolved emotional problems manifest themselves through physical symptoms. So, the body’s health must be approached as a whole. You cannot treat the symptoms without addressing the cause, and vice-versa. The body, like everything in the universe, is composed of energy. Restore balance to the body’s energy, and you will mend the negative emotions and physical symptoms that stem from the energy disruption. Tapping restores the body’s energy balance, and negative emotions are conquered. The basic technique requires you to focus on the negative emotion at hand: a fear or anxiety, a bad memory, an unresolved problem, or anything that’s bothering you. While maintaining your mental focus on this issue, use your fingertips to tap 5-7 times each on 12 of the body’s meridian points. Tapping on these meridian points – while concentrating on accepting and resolving the negative emotion – will access your body’s energy, restoring it to a balanced state. This concept comes from the doctrines of traditional Chinese medicine, which referred to the body’s energy as “ch’i.” In ancient times, the Chinese discovered 100 meridian points. They also discovered that by stimulating these meridian points, they could heal. Call it energy, call it the Source, call it life force, call it ch’i… Whatever you want to call it, it works. In some ways, Tapping is similar to acupuncture. Like Tapping, acupuncture achieves healing through stimulating the body’s meridians and energy flow. However, unlike Tapping, acupuncture involves needles! “No needles” is definitely one of the advantages of Tapping. Acupuncture also takes years to master. Acupuncture practitioners must memorize hundreds of meridian points along the body; the knowledge and training take years to acquire. Like many healing arts that draw upon ancient wisdom, Tapping has been met with a fair share of skepticism. Many doctors and psychologists have been quick to dismiss it as “woo woo”, despite the heaping anecdotal evidence from practitioners and people who have used EFT on their own. In recent years however, there’s been a growing pool of undeniable research that proves what millions of people the world over have known for some time now: that EFT produces real, lasting breakthroughs and significantly improves or even eliminates conditions that hospital treatments, medication and years of psychotherapy often fail to adequately deal with. Studies done at no less than Harvard Medical School verify these assertions. Research done at the prestigious university during the last decade found that the brain’s stress and fear response – which is controlled by an almond-shaped part of your brain called the amygdala – could be lessened by stimulating the meridian points used in acupuncture, acupressure, and of course, tapping. Although these studies focused on acupuncture and as such, used needles, follow-up double-blind research revealed that stimulating the points through pressure, as we do in tapping, gave rise to a similar response! Another exciting set of research was undertaken by Dr. Dawson Church. His team performed a randomized controlled trial to study how an hour-long tapping session would impact the stress levels of 83 subjects. To do this, Dr. Church and his team measured their level of cortisol, a hormone secreted by the body when it undergoes stress. Their findings? The average level of cortisol reduction was 24%, with a whopping reduction of almost 50% in some subjects! In comparison, there was no significant cortisol reduction in those who underwent an hour of traditional talk therapy. Dr. Church also created The Stress Project, which teaches tapping to war veterans suffering with PTSD. The results have been astounding: an average 63% decrease in PTSD symptoms after six rounds of tapping. It’s mind-blowing and exciting research, which has converted many non-believers in the scientific community along the way. All signs indicate that this trend of revealing research and swayed skeptics will continue as millions of people around the globe continue to discover the power of tapping. Mary Triller, MDiv, MTh, is a Certified Level II Practitioner in Emotional Freedom Techniques – Tapping and provides EFT – Tapping at Optimal You. Emotionally Focused Therapy is a structured form of couples’ therapy, built alongside the science of attachment and bonding. It helps couples increase connection, rebuild trust, feel supported, and cultivate fulfillment and intimacy in their relationships. Research regarding the effectiveness of Emotionally Focused Therapy over the last thirty years, demonstrates that EFT is the most empirically valid form of couples’ therapy currently in use by qualified therapists. Importantly, the research also shows that after completing EFT, 90 percent of couples experience improvement in their relationships, no matter how much they previously struggled. Research on the success of EFT demonstrates that couples consistently resolve conflict, recapture love, improve communication, and move from emotional distress to recovery. EFT is uniquely effective in addressing relationship injuries, including, but certainly not limited to, infidelity. Couples using EFT report feeling more intimate, understood, and valued by their partners. Other common couples therapeutic models that focus on how to communicate better or how to problem solve have been proven less effective than Emotionally Focused Therapy. With EFT, couples get to the root of the problem instead of only treating the symptoms. In session, we will work together in a nonjudgmental, safe space to uncover the vulnerable feelings that lie below the surface and address the real questions that are driving your negative patterns of interactions. Naomi Berry MA, LPC uses EFT in working with all couples at Optimal You. EP applications incorporate natural energetic components into the treatment process that include, but are not limited to, meridians, chakras, biofields, and bio-electrical and electromagnetic activity of the body, the nervous system and the heart. EP practitioners often combine cognitive and physical interventions with activation of one or more of the human bio-energy systems. Some practitioners focus on the way in which thought and intention are expressed in the bioenergy system, and explore the therapeutic value of precise use of language and congruent intention. EP approaches are often exceedingly rapid, have little to no adverse effects, are usually experienced as self-empowering by clients and patients, and are easily amenable to self-help protocols. EP models have been beneficially applied to assessment and treatment of trauma, anxiety, depression, pain, stress, psychophysiological issues, and self-sabotaging behaviors by a broad range of healthcare providers, to regulate affect and promote emotional and physical health. Beverlee Laidlaw Chasse, MC, LPC, MA, HMI, Pamela A. Pappas, MD, MD(H) and Mary Triller, MDiv, MTh provide Energy Psychology services at Optimal You. Gestalt therapy, developed by Fritz Perls, Laura Perls in the 1940s, is an experiential and humanistic form of therapy that was originally designed as an alternative to conventional psychoanalysis. Gestalt therapists and their clients use creative and experiential techniques to enhance awareness, freedom, and self-direction.The theory of Gestalt takes as its centerpiece two ideas: 1) hear and now awareness, and 2) we are inextricably caught in a web of relationship with all things. So it is only possible to truly know ourselves as we exist in relation to other things. The idea is to avoid dwelling on the past or anxiously anticipating the future. Experiences of the past may be addressed in therapy sessions, but the therapist and client will focus on exploring what factors made a particular memory come up in this moment, or how the present moment is impacted by experiences of the past. At the core of Gestalt therapy is the holistic view that people are intricately linked to and influenced by their environments and that all people strive toward growth and balance. In the Gestalt approach emphasis is on the therapist’s use of empathy, understanding, and unconditional acceptance of the client to enhance therapeutic outcomes. Beverlee Laidlaw Chasse, MC, LPC provides Gestalt Therapy at Optimal You. Did a death, divorce, or the end of a romantic relationship cause it? Or was it caused by any of the forty other losses that a person might experience such as moving, pet loss, or a change in finances? Regardless of the cause, you know how you feel and it probably isn’t good. You might feel sad, distracted, or confused. You are not alone. The Grief Recovery Method has been helping people feel better following a loss for 40 years. Grief is the normal and natural emotional response to loss, but most of the information we’ve learned about dealing with loss is intellectual. Although working through the Grief Recovery Method involves some educational elements, effective Grief Recovery must deal with your broken heart, which requires emotional support instead of intellectual explanations. People say you have to let go and move on in your life, but they don’t tell you how. The Grief Recovery Method, developed and refined over the past 30 years, teaches you how to recover from loss with supportive guidance every step of the way. The Grief Recovery Method is for anyone who has experienced any kind of loss. No! It is never too soon to address your grief. If you broke your leg would you wait to call the doctor? Then why wait to get help when you break your heart? You’ve probably heard that time heals all wounds. That piece of misinformation creates the idea that you just have to wait to feel better. We have known people who have waited ten, twenty, thirty, and forty years, and still didn’t feel better. And they would tell you that not only had time not healed them, but also it compounded the pain. It’s not time that heals, but what you do within time. A Grief Recovery Method Specialist assists you to look at your old beliefs about dealing with loss, which losses have affected your life, and take actions that will lead you to complete unresolved emotions that may still be causing you pain. Don’t wait any longer. Time alone will not heal your broken heart. Mary Triller, MDiv, MTh, and Donna Mosher, MC are Certified Grief Recovery Specialists and provide Grief Recovery at Optimal You. The Hakomi Method of Experiential Psychotherapy is a body-centered approach developed by Ron Kurtz, which combines somatic awareness with experiential techniques to promote psychological growth and transformation. Hakomi integrates principles of Eastern philosophy — primarily Buddhism and Taoism — emphasizing concepts such as mindfulness, loving presence, and empathy. Kurtz also incorporated additional influences, such as general systems theory and a range of body-centered therapeutic approaches such as Gestalt therapy, Psychomotor therapy, Reichian breathwork, Feldenkrais method, Focusing, Bioenergetic analysis, Structural bodywork, Neuro-linguistic programming, and Eriksonian hypnosis. In the Hakomi Method, gestures, posture, facial expressions, and other bodily experiences provide information about a person’s core material. This core material can be described as a combination of the images, memories, emotions, and beliefs — even those hidden from awareness — determining a person’s individual nature and may also serve to place limits on one’s individuality and goals. Individuals can eventually develop a clearer understanding of this core material and, with the assistance of compassionate, gentle assistance from professionals trained in Hakomi, can examine, challenge, and ultimately transform any self-defeating beliefs or behaviors. Beverlee Laidlaw Chasse, MC, LPC provides Hakomi Therapy at Optimal You. HeartMath™ is a unique system that combines rigorous research, advanced technologies, and validated techniques in training individuals to reduce stress and enhance their lives using biofeedback software. By generating an optimal physiological and psychological state called coherence, one is improving their nervous-system harmony, emotional stability, and cognitive performance. In regards to HeartMath™ services, coherence refers to the harmony of the rhythmic activities of the body including heart rate, blood pressure, and respiration. Our research indicates that when the body experiences positive emotional states, it functions in a coherent manner, providing an endless amount of physical, emotional, and mental benefits. When we allow negative emotions like anxiety, depression, and frustration to dominate our lives, the pattern of our heart rate variability (HRV) becomes disordered, which directly effects our physical and psychological performances. When we monitor heart rhythms through our software, we can study the physiological and psychological status, as well as predicting future health risk, with the intention of reaching a coherent state. When a coherent system is learned, the heart sends more information to the brain, improving cognitive performance. Using HRV analysis, we study the coherence through our software and determine where improvement is necessary. Coherence doesn’t mean that everybody or all the parts of the body are doing the same thing all the time. Think of a jazz band, for example, where the individual players are each doing their own thing, yet keeping in tune and step with the whole band. Coherence, in this sense, maximizes local freedom and global cohesion. Unlike relaxation, the coherence state does not necessarily involve a lowering of heart rate or a change in the amount of HRV, but rather is primarily marked by a change in the heart-rhythm pattern. Relaxation is a low-energy state in which the individual rests both the body and mind, typically disengaging from cognitive and emotional processes. In contrast, coherence generally involves the active engagement of positive emotions. Psychologically, coherence is experienced as a calm, balanced, yet energized and responsive state that is conducive to everyday functioning and interaction, including the performance of tasks requiring mental acuity, focus, problem-solving and decision-making, as well as physical activity and coordination. When you arrive at a HeartMath™ session at Optimal You, we’ll connect you with emWave and Inner Balance software and go through a series of relaxation and breathing techniques. The HeartMath™ software clearly identifies your heart rhythm and coherence. Our goal is to help you reduce stress, improve cardiovascular health, balance different systems in your body including the immune and hormones, and increase your longevity, happiness, energy, and clear thought process. Emotions drive our physiological and psychological states, which is why it’s crucial to learn how to manage emotions in a beneficial and harmonious way. Heart Math will regulate your emotional process, monitoring your heart and coherence, then provide techniques and feedback based on the results from our innovative software to help you make positive changes in your life. Brandon Chasse, PhD, HMI and Beverlee Laidlaw Chasse, MC, LPC provide HeartMath™ services with biofeedback monitoring at Optimal You. Stacey Prillaman, MA, HMCC is also a HeartMath™ Certified Coach at Optimal You. The Integrative Health Nurse (IHN), along with the holistic nursing principle supports the whole-person with whole-systems healing. An IHN recognizes that people cannot be separated from their environment, their relationships to family, and care providers. Moreover, the body’s natural inclination to heal must be honored as well as the healing properties of nature to create a restorative environment. The IHN also knows that we are hard wired to interact with the natural world, such as animals, water, plants and clean air. Furthermore, when we are too separated from the natural world, we may suffer in our overall wellbeing. These findings are fundamental to the 6 principles of an IHN; People are Whole Systems, The Innate Capacity to Heal, Use Nature’s Healing Properties, Relationships in Care, Evidence-based Care, Self-care. An IHN practices these principles by embracing and teaching several modalities which ‘put the patient in the best possible condition, so that nature can act and healing can occur’; to quote Florence Nightingale (Notes on Nursing). These principles are foundational to IHN consultations, programming, offerings and speaking, while informing both traditional and emerging therapeutic interventions and resources. Debbie Harbinson MHI, RN, HNB-BC is board certified in Holistic Nursing and provides Integrative Health Programming at Optimal You. Debbie Harbinson MHI, RN, HNB-BC is certified in Integrative Imagery and provides sessions at Optimal You. Integrative Medicine is healing-oriented medicine that takes account of the whole person, including all aspects of lifestyle. It emphasizes the therapeutic relationship between practitioner and patient, is informed by evidence, and makes use of all appropriate therapies. This model has clear applications to those with mental health conditions such as depression, anxiety, and post-traumatic stress. Pamela A. Pappas, MD, MD(H) is an integrative psychiatrist practicing at Optimal You. Laughter therapy as conceived, designed and delivered by World Laughter Tour, is an enjoyable mind-body-spirit process of systematic exposure to the natural phenomenon of true mirthful laughter, playfulness, and healthy attitudes. All of this happens in an environment that supports shifts in outlook bringing positive results of health, happiness, resilience, peace, and thriving. It makes life more workable, and work more livable. There are many paths to joining this global movement toward peace and happiness. Listed below are 3 communities available at Optimal You. Participants experience systematic exposure to true mirthful laughter in a supportive environment. During a Mirthful Me session, a Mirthful Action Plan (MAP) is created to promote stress resilience, joy, gratitude and attitude adjustment. Attend a 2 Day laughter therapy workshop to become a Certified Laughter Leader and receive continuing education credit! Promoting health as well as furthering the accomplishment of other therapeutic goals, this work has great appeal for both professional and family caregivers. Debbie Harbinson, MHI, RN, HNB-BC is a Master Trainer on Therapeutic Laughter, a member of the Advisory Board for the World Laughter Tour, Inc and provides Laughter Therapy at Optimal You. Research in recent years has demonstrated that the brain is always growing, learning and forming new connections. The technical term for this is neuroplasticity. We also know that the brain communicates to the body and the body sends communication to the brain. This mind-body communication makes hypnosis a wonderful tool to help improve various health conditions. Research has also shown that there is a neural basis for hypnosis. Various types of brain scans document that the brain function changes in hypnosis versus normal wakefulness or sleep. So hypnosis is real. Hypnosis is not sleep, magic or mind control. It is a highly focused but narrow area of attention. It is a normal state. If you have ever become so involved in a movie or a game with your favorite sports team that it was like you were part of the action, you likely were in a state of trance or hypnosis. You might be aware of what is going on around you or you might not be. Most people can experience hypnosis. Notice, I did not say, “Can be hypnotized,” because hypnosis is something you participate in, rather than something that is done to you. Using hypnosis you can learn to eliminate barriers and shift the way you approach life’s challenges to improve your health and reach new goals. Mary Herring, RN, MSN provides medical hypnosis at Optimal You. Learn how to relate to eating as a natural, healthy and pleasurable activity for meeting your optimal energy and nutritional needs through mindful eating. Many people who struggle with food discover that their relationship with food is a mindless reaction to unrecognized or unexamined thoughts and feelings, which leads them to repeat the same actions over and over. This creates feelings of powerlessness along with thoughts of an inability to change, many times spilling over into other areas of their lives. Additionally, when a medical condition is introduced into a person’s life, new strategies must be exchanged for previous habits. Mindfulness increases awareness of these patterns without judgement and creates the space between triggers and actions, allowing for new behaviors. Debbie Harbinson MHI, RN, HNB-BC is a facilitator for both the Am I Hungry? ® 8-week Mindful Eating Program and Mindful Eating for Prediabetes and Diabetes Programs and provides these programs at Optimal You. Self-compassion can be defined as learning to treat yourself the way you would treat a good friend when they suffer, fall short or fail in some way. Instead of just ignoring your pain with a “stiff upper lip” mentality, you stop to tell yourself “this is really difficult right now… How can I comfort and care for myself in this moment? Instead of mercilessly judging and criticizing yourself for various inadequacies or shortcomings, self-compassion means you are kind and understanding when confronted with personal failings – after all, who ever said you were supposed to be perfect? You may try to change in ways that allow you to be more healthy and happy, but this is done because you care about yourself, not because you are worthless or unacceptable as you are. Perhaps most importantly, having compassion for yourself means that you honor and accept your humanness. Things will not always go the way you want them to. You will encounter frustrations, losses will occur, you will make mistakes, bump up against your limitations, fall short of your ideals. This is the human condition, a reality shared by all of us. The more you open your heart to this reality instead of constantly fighting against it, the more you will be able to feel compassion for yourself and all your fellow humans in the experience of life. Mindful Self-Compassion (MSC), an empirically-supported training program based on the pioneering research of Kristin Neff and the clinical perspective of Christopher Germer. MSC teaches core principles and practices that enable participants to respond to difficult moments in their lives with kindness, care and understanding. Donna Mosher, MC, provides Mindful Self-Compassion Training both individually and within group settings at Optimal You. Donna regularly holds Mindful Self-Compassion Workshops. Contact Donna for current offerings. “Mindfulness” describes a mental state of nonjudgmental attention to and awareness of the present moment — along with calm acknowledgment of feelings, thoughts, and bodily sensations as they arise. Mindfulness can also describe a type of meditation practice which cultivates this awareness, a quality all human beings possess. What we eat has a direct impact on our physical and emotional health. Unfortunately, there is a lot of misinformation available these days from many sources. Some of the information on the Internet is there to sell products; some is just personal advice that lacks scientific foundation. If you have questions about your food choices and habits, and how you can feel better and be healthier, you might like to work with someone who has sound scientific training in nutrition. Our approach to nutritional guidance is not gimmicky. We do not sell nutritional products or advocate rigid diets. As a matter of fact, we don’t even like the word “diet” because it conjures up a number of stereotypes that are not helpful. We offer the latest nutritional information. Once you are armed with information, we believe you can make choices from a position of being aware and mindful, and can both enjoy food and choose foods to meet your health and personal goals. Mary Herring, RN, MSN, Pamela A. Pappas, MD, MD(H) and Debbie Harbinson, MHI, RN, HNB – BC provide nutritional consulting at Optimal You. Physical therapists are health care professionals who help patients/clients maintain, restore, and improve movement, activity, and functioning, thereby enabling optimal performance and enhancing health, well-being, and quality of life. Physical therapist services prevent, minimize, or eliminate impairments of body function and structure, activity limitations, and participation restrictions. Physical therapists play a unique role in society in prevention, wellness, fitness, health promotion, and management of disease and disability by serving as a dynamic bridge between health and health services delivery for individuals and populations. This means that although physical therapists are experts in rehabilitation and habilitation, they also have the expertise and the opportunity to help individuals and populations improve overall health and prevent the need for avoidable health care services. Physical therapists’ roles may include education, direct intervention, research, advocacy, and collaborative consultation. These roles are essential to the profession’s vision of transforming society by optimizing movement to improve the human experience. 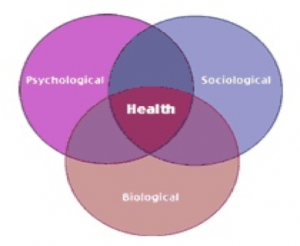 Physical therapist practice is based on a biopsychosocial model of health. This model reflects the dynamic interactions among health conditions, functioning, environment, and personal factors that influence an individual’s health and well-being. The biopsychosocial model states that the workings of the body can affect the mind, and the workings of the mind can affect the body. Leslie Putt, MPT, CZB is a physical therapist who provides multiple services engaging body, mind, and spirit at Optimal You. The Development of a negative, callous and cynical attitude toward patients and their concerns – often with sarcasm, and feeling put upon by patients. The tendency to see one’s work negatively, without value or meaningless (“what’s the use?”) and see one’s self as incompetent. Most physicians go into medicine to help others, and experience a feeling of purpose; it is a vocation and calling for them. Feelings of fulfillment and satisfaction accompany being fully engaged in one’s career. When doctors can use their skills with excellence, relate deeply with and benefit others, AND also practice consistent self-care to replenish themselves when tired, this feeling of “engagement” is possible. Increase rates of physician substance abuse, intent to leave practice, depression, and its worst complication: suicide. Fortunately, doctors can be trained to learn the signs and symptoms – AND how to combat burnout when they are edging towards it. Preventive measures on individual, organizational and leadership levels are available. When physicians learn to employ their own personal anti-burnout strategies, the benefits extend beyond themselves to their patients, families, staff and wider organization, and even the payors. Pamela A. Pappas, MD, MD(H) is a certified Physician Burnout Prevention Coach, and a member of TheHappyMD Coaching Alliance. She is also a certified Executive Coach. Psychodynamic therapy, also known as insight-oriented therapy, focuses on unconscious processes as they show up in a person’s present behavior. The goals of psychodynamic therapy are increasing self-awareness and understanding of the influence of the past on present behavior. Using a psychodynamic approach allows the patient to examine unresolved conflicts and symptoms that arise from past dysfunctional relationships, and manifest themselves in the present. Psychodynamic therapy is the most established of psychotherapies, and it does have a scientific evidence base. Four main schools come together within it: Freudian psychology; Ego Psychology; Object Relations; and Self Psychology. Psychodynamic psychotherapy uses the principles of psychoanalysis, but it is shorter in term — and typically does not require multiple visits per week. Gaining insight to the origin and nature of long-term internal patterns, the patient can ultimately decide what s/he wants to change. Working through the insights gathered and applying these to currently arising life situations so that changes “stick” is essential for lasting results. Pamela A. Pappas, MD, MD(H) is a psychodynamic psychotherapist practicing at Optimal You. Sign Chi Do is an innovative technology that incorporates sign-gesture with movement, music and breath. Using awareness, it can be a simple technique for enhanced balance and health or a tool to help deepen your prayer practice. Six week sessions integrate medicine with spirituality and help people discover how to reduce stress, grow spiritually, and live happy, healthier lives. The program includes in-person classes along with book/DVD, online videos and downloadable meditations during and after the program. Debbie Harbinson MHI, RN, HNB-BC is a facilitator for Sign Chi Do and provides ongoing sessions at Optimal You. Solution–Focused Brief Therapy is a practical goal–driven model with emphasis on clear, precise, and realistic goal negotiations. This approach assumes that you have some knowledge of what would make your life better even though you may need some help describing the details of your better life. The foundational belief is that people who seek help already possess the minimal skills necessary to create solutions, but just need some help setting up the small, realistic and doable steps to achieve their desired goals. As the name suggests, SFBT is future-focused, goal-directed, and focuses on solutions, rather than on the problems that brought clients to seek therapy. Beverlee Laidlaw Chasse, MC, LPC provides Solution-Focused Brief Therapy at Optimal You. Spiritual direction is the practice of being with people as they attempt to deepen their relationship with the divine, or to learn and grow in their own personal spirituality. The person seeking direction shares stories of his or her encounters of the divine, or how he or she is cultivating a life attuned to spiritual things. The director listens and asks questions to assist the directee in his or her process of reflection and spiritual growth. Spiritual direction advocates claim that it develops a deeper awareness with the spiritual aspect of being human, and that it is not psychotherapy, counseling, or financial planning. Leslie Putt, MPT, CZB and Mary Triller, MDiv, MTh provide Spiritual Direction services at Optimal You. Thought Field Therapy uses a tapping sequence in the form of a healing code that balances the body’s energy system and allows you to significantly reduce or eliminate most negative emotions within minutes, while promoting the body’s own healing ability. This is effective in finding immediate relief, but additional techniques are typically needed to stabilize the root issues. Beverlee Laidlaw Chasse, MC, LPC and Pamela A. Pappas, MD, MD(H) provide Thought Field Therapy (TFT) services at Optimal You. Zero Balancing induces a state of deep rest that allows you to feel truly relaxed, renewed and well. Regular Zero Balancing sessions may help you to feel more vital and alive. Did you know that bones and other connective tissue actually conduct energy? Zero Balancing helps to free the flow of energy in the musculoskeletal system to help relieve stress and boost your body’s natural energy. Blocks in the body’s energy often lead to imbalance, discomfort and pain. Zero Balancing helps open stuck areas in the body’s natural shock absorbers: the tarsal bones in the arches of the feet, the joints where the ribs meet the spine, the neck, the hips and the sacrum. Once these areas are free, pain can release. Zero Balancing helps to create a wonderful feeling of inner and outer balance, alignment and organization. When your body is clear and balanced and your posture is aligned, you can move with freedom. Zero Balancing is deeply satisfying. Often during a session, you experience a sense of expansiveness, peace and contentment. Zero Balancing works on multiple levels to release tissue-held memory and tension patterns that may be affecting your mental, emotional and physical states. A Zero Balancing session supports positive changes in behavior or attitude by giving you the chance to state your personal goals for change – which then become the focus of the session. With the ZB practitioner’s attention and touch, energy is realigned so that old patterns can drop away and resistance to change subsides. Zero Balancing helps us to feel better equipped to handle daily pressures. Many people who receive Zero Balancing on a regular basis find themselves more joyful and satisfied in both personal and work relationships. Leslie Putt, MPT, CZB, provides Zero Balancing services at Optimal You.